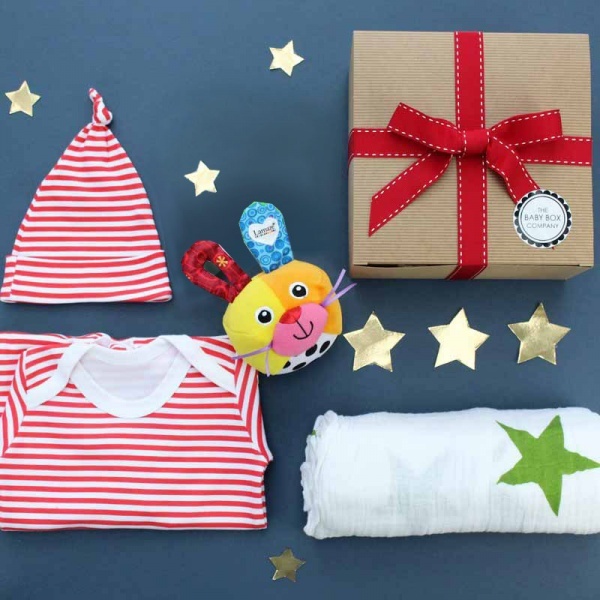 The largest of our 'Not Your Standard' baby hamper range is filled with a selection of carefully selected new baby products. This box is unusual and unique because it filled with bright and modern products, not like traditional baby hampers. 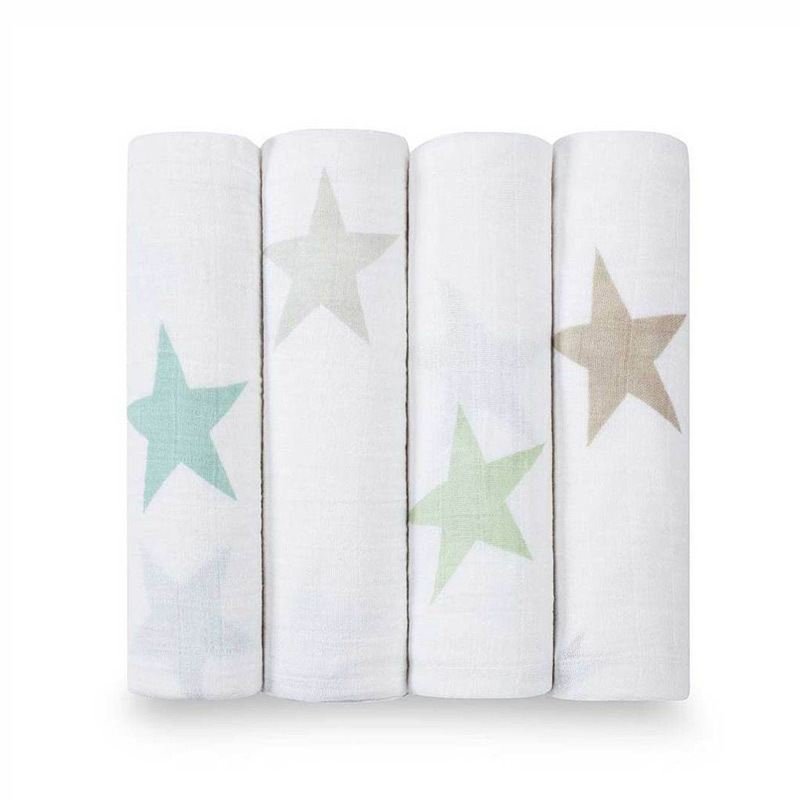 Aden & Anais Swaddle blanket - used to 'swaddle' or wrap babies up when they are first born, it makes them feel safe. This is also the best multi-function gift, as can be used as a summer blanket, burp cloth, cot sheet to name but a few ideas. Lamaze Giggle Bunny Ball - a handheld bright bunny shaped ball, that giggle when you shake it. 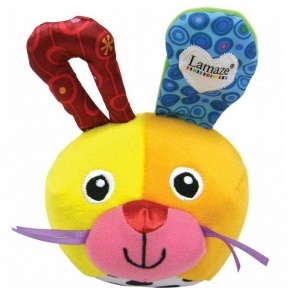 Bold colours help to develop baby's senses and are perfect for play on the go or at home. 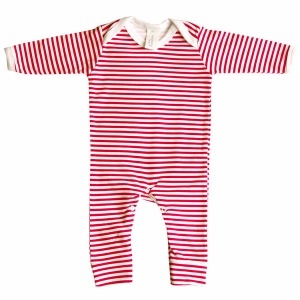 Baby Bunting Romper suit - a red and white stripe all-in-one which makes a great everyday outfit choice. 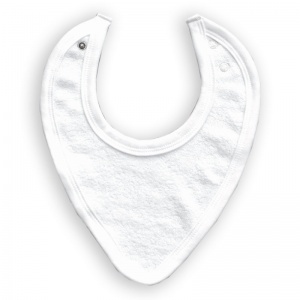 Manufactured in the UK from 100% cotton, to help regulate baby's temperature. Age 0-3 months. 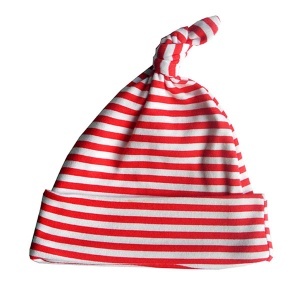 Baby Bunting Hat - again red and white stripe to match the romper suit to give a whole matching outfit. 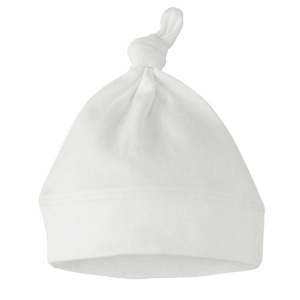 Keeps little heads warm, which is very important when they are newborn. 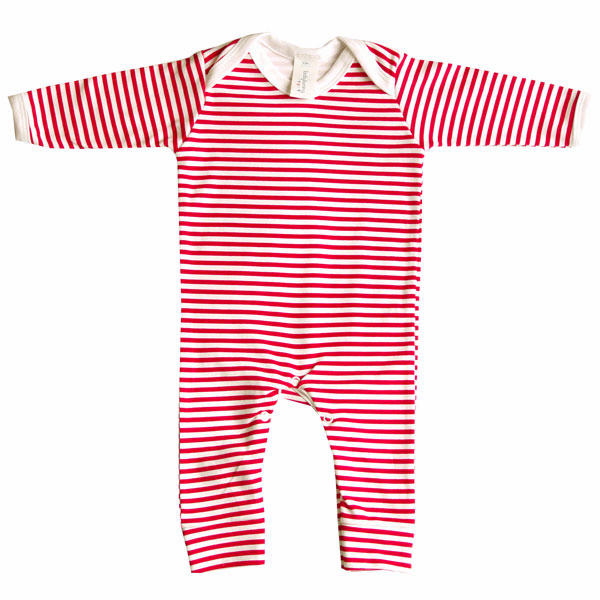 Made from 100% cotton and age 0-6 months. 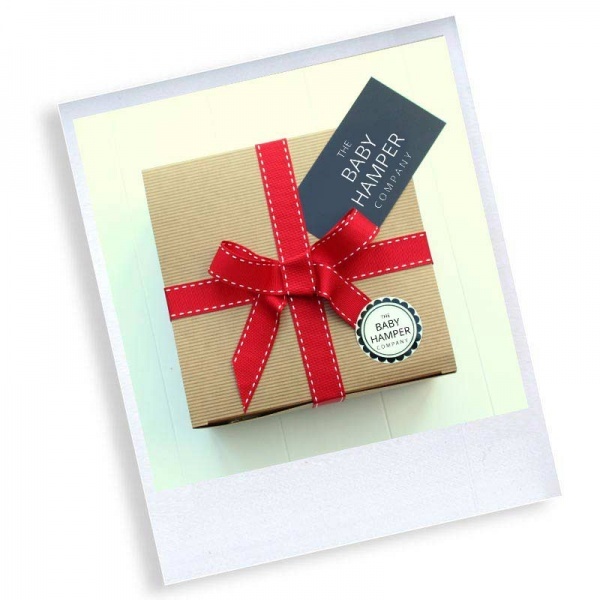 Don't forget this all comes with our free luxury gift wrapping, this box is a sure-fire hit. You can also add extra items to our set price boxes. 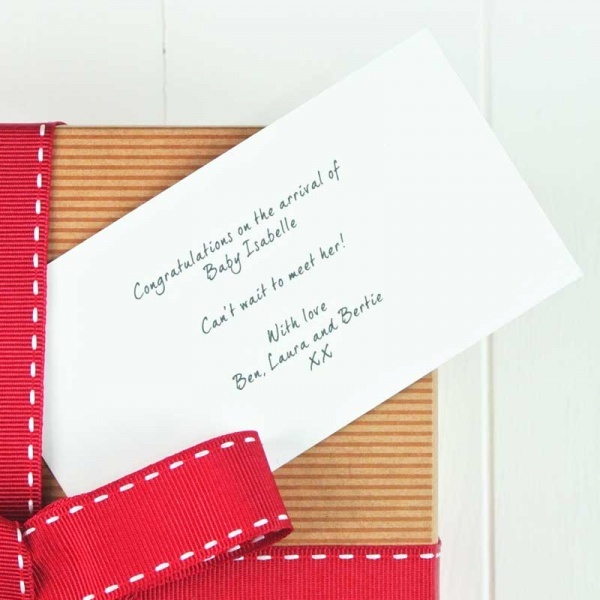 All are hand gift wrapped to order (FREE OF CHARGE), so you can add any extra items and we'll do the rest.